Journal of Biotechnology and Phytochemistry is an open access, peer-reviewed scientific journal that underlines the importance of Biotechnology and Phytochemistry in all walks of life. The journal is dedicated to the publication of seminal articles on the development, improvement, and application of biotechnological methods to plant sciences. The journal aims to focus on the role of biotechnology in elevating the phytochemical solutions to address the challenges to the public health. 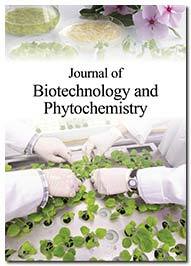 To this end, the journal encourages research in all the key areas of biotechnology & phytochemicals, including techniques relevant to the detection, separation, extraction, purification, identification and quantification of plant biochemical compounds; plant cellular and molecular biology; chemical, biochemical, and bioprocess engineering; plant biotechnology; plant physiology/biochemistry; pure and applied plant chemistry. The Journal publishes papers of utmost significance in the analysis of whole plants (algae, fungi, etc); plant tissues, cells, and organs; plant products; and plant-based extracts. All types of physical, chemical, biochemical, chromatographic, and metabolomic investigations of plant products are encompassed under the remit of the Journal. The journal constitutes its Editorial-Board comprising of scholars from all over the world that may be instrumental in offering their critical views on the role of biotechnology in promoting phytochemical solutions. Screening of Punica Granatum seeds for antibacterial and antioxidant activity with various extracts.